Happy first day of Hanukkah!! As I'm sure you know by now, I'm adopted. So last year for Christmas my mom got a 23andMe DNA kit for both my husband and myself. I eagerly awaited the results and when I finally received them, some of the results were as I had suspected (like the British & Irish... thank God, because I have a shamrock tatoo! Haha. ), but some were definitely a surprise. I would have never guessed I'd have so much Ashkenazi Jewish or Native American in me. In fact, in my self reported information I actually said I definitely WASN'T Jewish... apparently I was wrong! While these results are obviously guesstimations essentially it really got me thinking. My results stated "You most likely had a parent, grandparent, or great-grandparent who was 100% Ashkenazi Jewish. This person was likely born between 1900 and 1960." Having learned this, I started reading up on Judaism. While I know that having Ashkenazi Jewish heritage and Judaism as a religion are different things, I decided I wanted to attempt to incorporate some Hanukkah traditions this year. 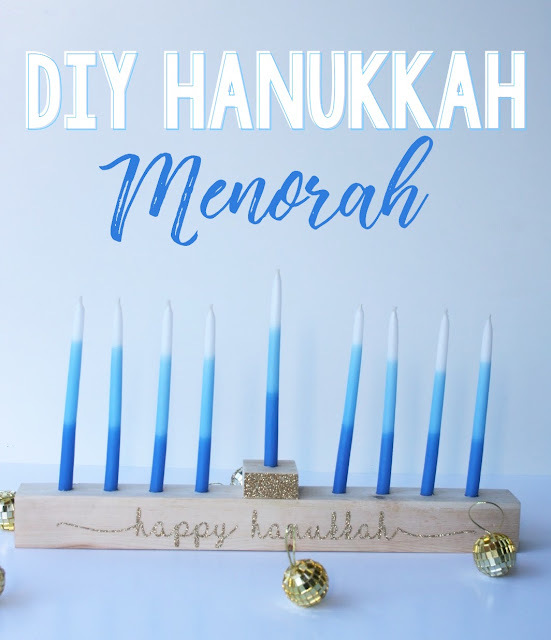 First up, I wanted to DIY a Menorah! Lucky for me, my husband is a lumber salesman, so we have plenty of scrap wood laying around. I was able to create this project using all items I already had! I really liked this menorah that I found (a Martha Stewart project of course) so I used it as my inspiration. I started the project by hunting down some Hanukkah candles. I started at my local party store. They had a Hanukkah endcap with cheesy plates and napkins and decor, but no candles. I started thinking finding some may not be an easy task. But, I made a stop to my local Home Goods and not only did I find Hanukkah candles, I found these cute ones! Once I had the candles we were able to figure out what size drill we needed to create the holes for them. I left this part to my husband (mostly because he's better at math and I wanted all of the holes to be just right). Once the holes were drilled we glued the center piece (for the shamash) and let it dry. Then it was time for the fun part, designing my sentiment. 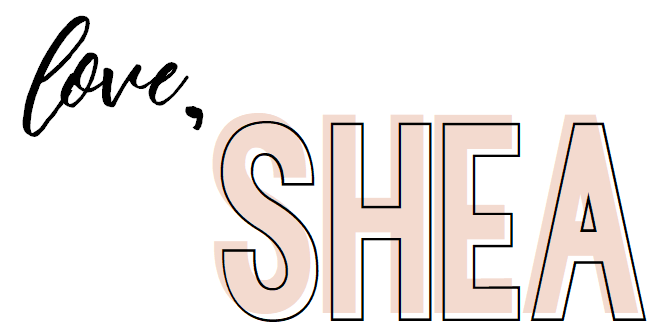 Using Cricut Design Space and one of my favorite fonts, I created this. One of my design secrets is, that I usually add the item that I'll be decorating so I can really visualize the final product. In this case it was a piece of wood that was 1.5" x 14", so that's what the cream rectangle represents. Once I was happy with my design, I cut it and weeded it using my BrightPad. This was my first time attempting to use iron on with wood so I was a little nervous but, with the help of my EasyPress, it worked like a charm! I'd say it worked even better than on actual fabric! When it was done the carrier sheet even slid off like how it does when you put on a temporary tattoo! Haha. Weird comparison? Maybe. But you know what i mean. I ended up adding some gold glitter to the shamash piece as well (and I just cut that with my paper trimmer since it was an easy rectangle). And viola! I have my very own DIY'd Menorah for my very first Hanukkah! I'm so excited to burn it tonight! You are going to have a good journey ahead I am sure. And don't worry if your adopted because your current parents love you like their own daughter. Good luck girl.